Hayes Pump offers mechanical pump seals for virtually all types of liquids and gases in the Industrial, Chemical, Commercial, Water & Waste Water, Sanitary, Personal Care and Pharmaceutical markets. We proudly represent the +John Crane family of products. For Wet and Dry seal Environmental Systems, we offer seals for heating and cooling, as well as for leakage detection. 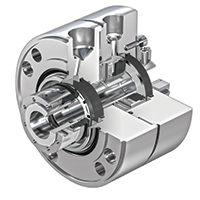 Learn more about John Crane Mechanical Pump Seals or contact us directly for assistance choosing the right seals. Component Seals – Used in centrifugal pumps. Standard mechanical seals are usually component seals. Incorrect installation and adjustment are the causes for failure. Single seals – Made up of two flat surfaces that slide against each other and are pressed together by a spring. Between the surfaces is a fluid film. Useful when the pumped product doesn’t harm the environment. Double seals – Two seals – one keeps the product in the pump housing, the other prevents liquid from leaking into the atmosphere. Commonly used when the fluid is hazardous, in high pressures or temperature, and polymerizing sticky fluid. Cartridge seals – The components are preassembled in a housing, the spring tension is preset, and the seal installs from the dry side of the seal chamber. Dry Gas Seal – A non-contacting, dry-running seal. 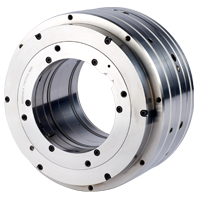 The seals are used in harsh working environments such as oil refining or chemical processing. Non-Contacting Seal – A highly durable seal that provides very low cost of operation and ownership. Split Seals – Combines unique design requirements for wet and dry running onto one seal platform. Slurry Seals – Operated in abrasive slurry environments. Has a unique design allowing the seal to operate without a flush which lowers the total cost of ownership. 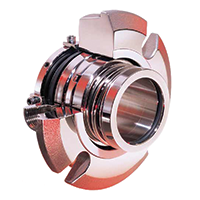 Metal Bellows Seals – This seal allows for high flow rates and prevents clogging. Creates a uniform outside wall for uniform movement under hydraulic pressure. Vessel and Agitator Seals – Dry-running mixer and agitator seals suitable for explosive atmospheres. Used in chemical and pharmaceutical industries. Labyrinth Seals – Typically have a long life due to low friction which prevents leakage. Use them to store oil and seal against high pressure.